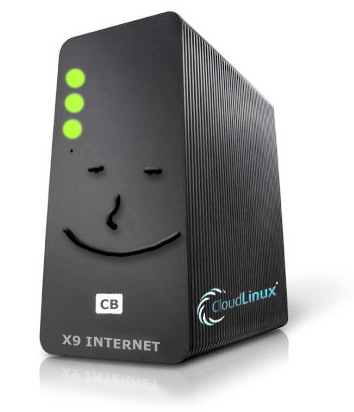 Enjoy stable and hassle free hosting with CloudLinux and super fast LiteSpeed web servers. Why is there so much downtime on the Apache web servers? This is not a problem with Apache which actually works very well. The downtime problem is usually caused by programs which hosting account owners install in their accounts, such as WordPress, Joomla or a shopping cart which are not being kept up to date. The hackers then have the time to develop exploits for the older versions and then gain access to the account itself to install bank account phishing pages, or gain access to the mail server to send out spam. This totally bybasses server security. Hacking for the purpose of selling account access to the spammers and bank account phishers for a few dollars has over the past few years become a huge industry. This is causing massive problems for hosting companies who provide shared hosting. When a website owner uploads Wordpress or Joomla and does not keep it up to date, hackers develop exploits which gives them access to individual hosting accounts. Most hosting companies provide their shared hosting service from conventional web servers. What this means is that if one account uses up all server power, the entire server and every single website hosted on it and all email accounts will go offline. CloudLinux was specifically developed for this scenario. CloudLinux will not force a website owner to keep his software up to date and nor will it prevent hackers from gaining access to an out of date Wordpress application. But what it does do and it does so very well, is to stop this hacked account with its spammers and phishers from using up all the power from the server. Account Isolation - All hosting accounts on the server are isolated from each other, so if one goes down, everyone else will remain safe and available. 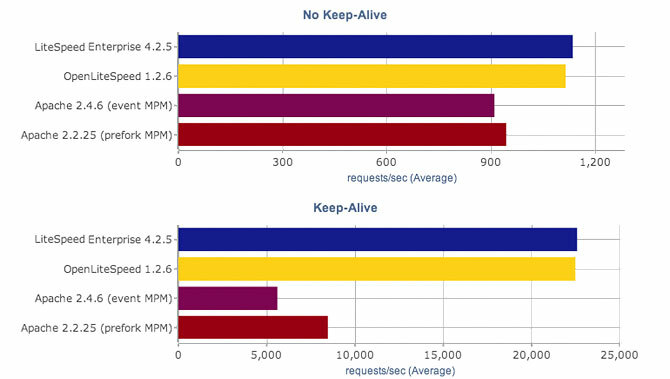 Resource Limits - CloudLinux makes use of kernel level technologies to set resource limits per hosting account to prevent accounts exceeding their limits. Application Resource Limits - The website, blog, image gallery and email all have resource limits to prevent a busy blog also taking down other services. Excellent Performance and Stability - Serving thousands of clients concurrently with minimal memory consumption and CPU usage. Solid Server Security - LiteSpeed Web Servers have inbuilt tools which handle traffic spikes and also neutralise DDoS attacks. Very Fast - Static content is delivered 10x faster than the conventional Apache web server, and 40x when delivering Dynamic content. Are you stuck with a terrible host but moving your website, databases and your entire webmail system is just too complicated? cPanel will make your hosting account fully portable, meaning it is easy to move from one host to another. It only takes a few minutes and you will not loose any data. If you are not using cPanel, then now is the time to start. 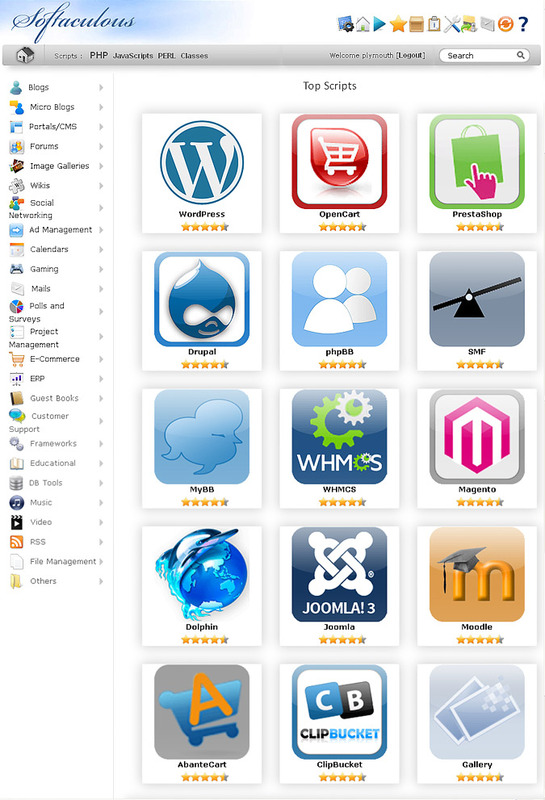 Very User Friendly - cPanel lets you fully manage all aspects of your website. You do not need any additional programs to upload or edit pages. Create a Website or install an Application - 2 site builders are available and your Softaculous auto installer will install any application you need. Easy Domain Manager - You can host up to 10 websites and park many more additional domains and you can easily manage dns and email for them. Full Email System - You can log into your cPanel email account from any web browser, PC, laptop, iPhone or tablet to view and send email. User friendly Database Management System - Easily import, export, repair or back up MySQL databases with just a few clicks of your mouse. Excellent Back up System - Make daily backups, restore your website to a previous date or restore from a saved backup file. Great for recovering lost data. Got your site hacked and the hacker installed backdoors all over the place and your Web Host tells you to rebuild your site from scratch? Not with the R1Soft backup system. To dump the hacker and his backdoors you simply just log into your backup system and select an earlier backup date to restore your account to the way it was on that day. Simple! High Performance Backup - R1Soft reduces your backup window from hours to minutes with recovery point objectives by replicating data to disk-based archive storage. Bare-Metal Restore - This is a high performance alternative to file-by-file restore by bypassing the file system and streaming blocks directly to disk. Innovative Web Interface - Your management system boasts an Explorer-style interface and you can browse, download and restore from any recovery point. Google Apps is a suite of Google@ applications that brings together essential services to help your business. This is a hosted service that lets businesses, schools and institutions use a variety of Google products. These include Email, Google Docs, Google Calendar and Google Talk on your own domain name. Millions of unwanted emails are sent every day, decreasing employee productivity and hampering online businesses. To assist you with this problem we are providing a fully redundant enterprise spam filtering technology known as SpamExperts. Normally used as enterprise grade spam protection for larger businesses, we have included this in the CloudBaron cPanel hosting product free of charge. Blocks Spam, Virus, Phishing and Malware emails. 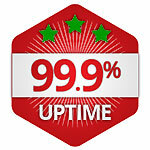 Clustered servers guarantee 100% uptime. View and release quarantined email from within cPanel. Log search. Any e-mails filtered by SpamExperts can easily be identified and tracked at a later date by using the log search function with over 6 searchable fields including date range, sender, user, recipient, Sender IP and sender hostname. Partial matches can be included as well. Spam quarantine. A lot of times, businesses are hesitant to use spam protection because they're worried about losing important e-mail. This is understandable and certainly a legitimate concern. SpamExperts has an easily switchable Quarantine that can be toggled by day, or searching. No nightmares of losing precious e-mail due to spam protection. Whitelisting and blacklisting. We all have those entities that we wish to always receive e-mail from, and oppositely, never receive e-mail from &endash; these are both easily enabled and added via Whitelisting and blacklisting in the SpamExperts panel. Spam graphing. It is nice to be able to see just how effective your spam filtering solution is. And with SpamExperts, that is not a problem. SpamExperts provides an easy to use graph to display the last 7 days of e-mail &emdash; including spam, non-spam and viruses. Spam reporting. In case of a missed spam e-mail, you can easily alert this to SpamExperts via a convenient spam reporting option. SpamExperts have even developed e-mail client add-ons for several popular e-mail clients (Outlook, Thunderbird) for this purpose. As you can see here, SpamExperts can be a vital component in fighting spam and saving your business precious time and frustration. For resellers, you are able to offer this highly available service to all of your clients for the same price as it costs you &endash; completely free, or as a paid addon service. Without the right tools your Website isn't trusted - only an SSL certificate will authenticate individuals, businesses, websites and content. Authentication is the heart of trust. It's the process of confirming that something or someone is genuine. Hackers are impersonators and thrive on deception. Thousands of NEW viruses, worms and Trojans appear on the Web every day! These threats directly harm millions of Web users and erode Internet trust. With a Positive SSL badge on your site your visitors will see that you are the genuine article. Install a Blog, Shopping Cart, Image Gallery, Community Script or Ad Management system in just seconds. When you require a forum, calendar or any e-commerce software the Softaculous software installer should be your first port of call. It has been incorporated into cPanel and all the applications are guaranteed virus free. Install with full confidence that you are not installing a virus which often is the case when you download an application from a website you don't know. All applications offered under this installer are kept up to date and when new software versions are released, you will be notified and asked to upgrade. Many of these installations are full websites not requiring any website design work. Others will allow you to import custom themes, such as Wordpress. All accounts are CloudFlare ready. You can enable CloudFlare from cPanel. CloudFlare will load your web pages 30% faster and you will use 60% less bandwidth because your images will all be cached. Your website will also receive much less server requests as CloudFlare will filter out all email harvesters and hacking attempts and all the nasty stuff which is everywhere. CloudFlare will load your web page from the data centre which is nearest to your website visitor's geo location. It has 23 data centres. All visitors to your site are checked to determine if a visitor is a threat based on the IP, resource requested and payload being posted. Your site remains available on the Web even if your actual website is not loading due to a coding error or if it was switched off.